To put it mildly, North Korea has had a complicated relationship with the world. In chronological order, here are five of North Korea’s most incredible plots. To put it mildly, North Korea has had a complicated relationship with the world. Over the years, the Hermit Kingdom has dealt with the world in different degrees of belligerence, slipperiness, and ambition. As the Supreme Leadership changed hands, the way North Korea interacted with the world changed commensurately. Often, these interactions took the form of brazen and bizarre plots aimed at furthering the regime's goals. In chronological order, here are five of North Korea's most incredible plots. Still from the 2016 documentary "The Lovers and the Despot" — Tigerlily Films Ltd.
Kim Jong-il had a few quirks. At one point, he was the world's largest buyer of Hennessy, importing around $800,000 of the brown stuff per year. He was also a huge film fanatic and had around 15,000 films at his disposal. It may have been late at night while watching Friday the 13th (reportedly one of his favorites) working through a bottle of Hennessy that Kim conceived of this plan. As a cinephile, Kim could tell that the movies coming out of his dictatorship were not up to standards. In a bid to improve North Korea's film industry, he decided that new talent was needed. Choi Eun-hee, a South Korean actress, was visiting Hong Kong when a local guide lured her onto a ship that whisked her away to North Korea. Soon after, Shin Sang-ok, a South Korean director and Choi's ex-husband, was also kidnapped. After a period of imprisonment, Kim held a party for the pair where he laid out his plans for North Korea's film industry. Together, Shin and Choi made six films together. These included The Emissary of No Return, a 1984 film based on a stage play written by Kim's father, Kim Il-sung. This film functioned as a propaganda piece and focused on a Japanese diplomat who, failing to convince the Hague to reverse a decision that left Korea under Japanese control in 1905, commits hara-kiri. But Shin and Choi were also permitted to make films for entertainment purposes, like Pulgasari, a cult-classic Godzilla spinoff in which the titular monster grows larger by eating iron. In order to gain international attention for North Korea's kidnapping-fueled film industry, the two South Koreans were permitted to travel for press conferences. After Pulgasari, they traveled to Vienna to discuss another planned film when they escaped from their North Korean minders and fled to Vienna's U.S. embassy. They didn't arrive empty handy, either. Shin and Choi had made secret recordings of Kim, including one where he admitted to their kidnapping. Kim Hyon-hui spent seven years training in North Korea to become a spy for the regime. She was taught martial arts, shooting, radio communications, and wilderness survival skills, and, as part of her future mission, she learned Japanese from one of the many Japanese nationals abducted by North Korea. In 1987, she was given a mission to disrupt the upcoming Olympic games that were slated to take place in Seoul next year. To accomplish this, Kim Hyon-hui was ordered to bomb a Korean Air flight. Along with her partner, Kim Seung-il, she boarded a flight to Vienna disguised as a Japanese couple. In Vienna, they received a bomb from North Korean intelligence. "The bomb was a small Panasonic radio, behind that there were ... batteries. North Korea built it so half of it acted as an explosive with chemicals in, the other half could be used as a regular radio," Kim Hyon-hui later told CNN. They traveled to Baghdad to board a flight heading for Seoul with a layover in Abu Dhabi. Kim Hyon-hui placed the bomb in an overhead compartment, leaving it there as she disembarked at Abu Dhabi. Somewhere above of Myanmar, the bomb exploded, killing the 115 people on board. Kim Hyon-hui and her partner headed towards Bahrain, where they had a flight booked to Rome. However, having been flagged by South Korean intelligence as suspects, they were detained at the airport. They had a contingency plan for this in the form of cyanide pills concealed in the filters of a pair of cigarettes. Both agents swallowed the pills, and Kim Seung-il instantly died. When Kim Hyon-hui tried to bite down on the cigarette filter, however, Bahraini agents plucked it from her mouth. She received only a partial dose of the cyanide and was knocked unconscious. After being extradited to South Korea, Kim Hyon-hui was sentenced to death, only to be controversially pardoned by President Roh Tae-woo. "When I heard I was pardoned, rather than feeling the joy of regaining life, I thought of my mother back in the North. How happy she must be if a daughter who almost dies then lives, but I was a big sinner. I should have died," she said. After the pardon, Kim Hyon-hui worked with South Korean intelligence officials to supply critical information about North Korea, although her presence there continues to be the subject of controversy. North Korea has always been particularly sensitive to perceived slights. While his father may have been a cinephile, Kim Jong-un seems to be less tolerant of the artform. When The Interview came out (a comedy about a plot to assassinate Kim Jong-un), his regime ordered a hack against Sony Pictures in retaliation. U.S. investigators claim that the hacker group Guardians of Peace had access to Sony Pictures databases for two months, during which time they claimed to have stolen more than 100 terabytes of data. The group began leaking unreleased films and confidential information. The info they released seem to be aimed at damaging the reputations of Sony officials, including conversations about Barack Obama that were characterized as racist, insults against celebrities, and jokes about Charlie Sheen's HIV diagnosis. We will clearly show it to you at the very time and places The Interview be shown, including the premiere, how bitter fate those who seek fun in terror should be doomed to. Soon all the world will see what an awful movie Sony Pictures Entertainment has made. The world will be full of fear. Remember the 11th of September 2001. We recommend you to keep yourself distant from the places at that time. (If your house is nearby, you'd better leave.) Whatever comes in the coming days is called by the greed of Sony Pictures Entertainment. All the world will denounce the SONY. In 2016, a hacker collective known as the Lazarus Group conducted an extremely elaborate and sophisticated heist that very nearly netted a cool billion dollars. Investigators believe that this was the same group that hacked Sony Pictures in 2014 and, based on the kinds of techniques used, most likely a state-sponsored hacker group working for North Korea. The hack made use of the SWIFT system, or the Society of Worldwide Interbank Financial Telecommunication. 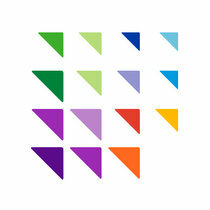 SWIFT is a network that sends secure payment orders between banks. The benefit of SWIFT messages is that they can be verified to originate from a given bank and cannot be faked. However, they do have a major drawback: with access to a bank's networks and credentials, a hacker could send authentic SWIFT payment orders, thereby moving the bank's funds to wherever the hacker might like. Generally, suspicious payment orders are flagged for further investigation as a means of mitigating this risk. The hackers selected their target perfectly. They chose a Bangladeshi bank, ostensibly with weaker security than banks from wealthier countries. In addition, the Bangladesh weekend starts on Friday, and workers return to work on Sundays, a scheduling quirk that would play into the hackers' hands quite well. The hackers had gained access to the bank some months prior to launching their attack, which they did on a Friday. Most of the bank's workers were at home, although there were a few still working in the morning at the bank. The Bangladeshi bank had a printer that was supposed to continuously print out SWIFT orders. The hackers had taken this printer offline in order to prevent bank workers from noticing their payment orders. Since it was the weekend, the Bangladeshi employees thought that this was a simple printer error, and they left the problem to deal with later. Unfortunately, the Fed had been sending dozens of messages asking for confirmation of the suspicious payment orders, which would normally have been printed out. Luckily, some of the payment orders had been flagged for manual review by sheer chance. Several of the banks and businesses that malicious SWIFT payment orders were for had the word “Jupiter" in their street addresses. This word was flagged by the Fed's security system because it was also used in a shipping company that had violated U.S. sanctions. In addition, some of the payment orders were meant to be sent to the Shaliki foundation, but the SWIFT messages spelled it as “fandation," raising the suspicions of Fed workers about the authenticity of the messages. By the time the Bangladeshi bank had gotten the printer working again and had seen the malicious SWIFT orders, it was Sunday. They sent numerous cancellation requests to the Fed, but the Fed is closed on Sundays. Despite flagging many of the payments for manual review, $101 million in payment orders were still in the system. 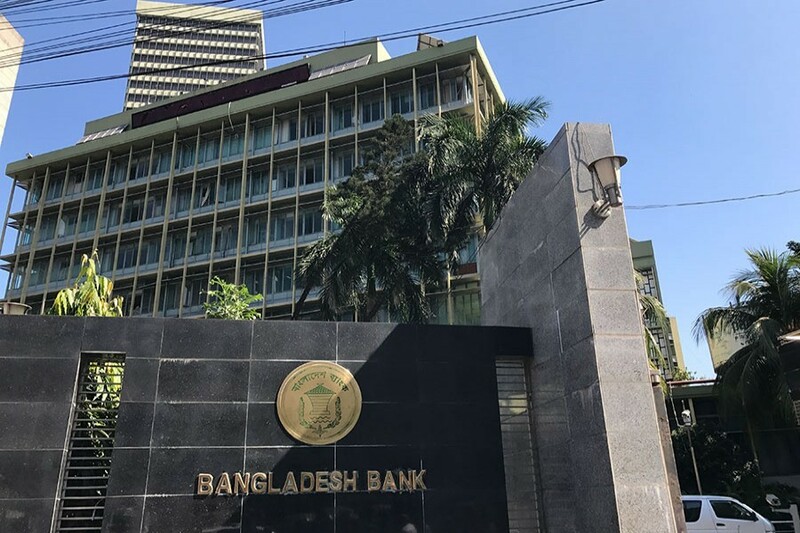 The Bangladeshi bank managed to cancel another $20 million payment order, but the remaining $81 million went through to bank accounts in the Philippines. All but $68,000 of this money was withdrawn before the Philippine bank could halt the withdrawals. Kim Jong-nam (left) and his half-brother, Kim Jong-un (right). In 2017, Kim Jong-nam was assassinated using the chemical weapon VX (photo by TOSHIFUMI KITAMURA,ED JONES/AFP/Getty Images). Kim Jong-un was actually second in line to succeed his father as the Supreme Leader. Originally, Kim Jong-il's eldest son, Kim Jong-nam, was meant to have control over the Hermit Kingdom. However, Kim Jong-nam fell out of favor with the regime when he was caught trying to sneak into Tokyo Disneyland in 2001 with a fake passport. He was detained and sent to China, which reportedly embarrassed Kim Jong-il to such an extent that he canceled a planned visit to China. Kim Jong-nam also had significantly different politics than his father and brother, and he made that clear to his family members. In an email to the editor of a Japanese newspaper, Kim Jong-nam said that he wanted to open the North Korean market and make reforms, which didn't go over so well with his father. He also had a reputation as a drinker and a gambler, all of which contributed to his loss of favor. Eventually, he was replaced as the heir apparent by Kim Jong-un, and Kim Jong-nam was forced to flee the country. He spent years on the run, knowing that Kim Jong-un had placed standing orders to have him killed. At the Kuala Lumpur airport in 2017, a pair of women approached him and smeared his face with a nerve agent called venomous agent X, or VX. VX is banned under the Chemical Weapons Convention of 1993, although some countries have maintained stockpiles of the toxin, including North Korea. As for the two assassins, the women claimed that they had been approached by a foreign man who told them they were going to be on a game show. The man paid both of them $90 to smear what appeared to be a harmless substance on the face of a nondescript Asian man—Kim Jong-nam.